My intentions were to take a few pictures of an outfit that was inspired by one of my older posts. 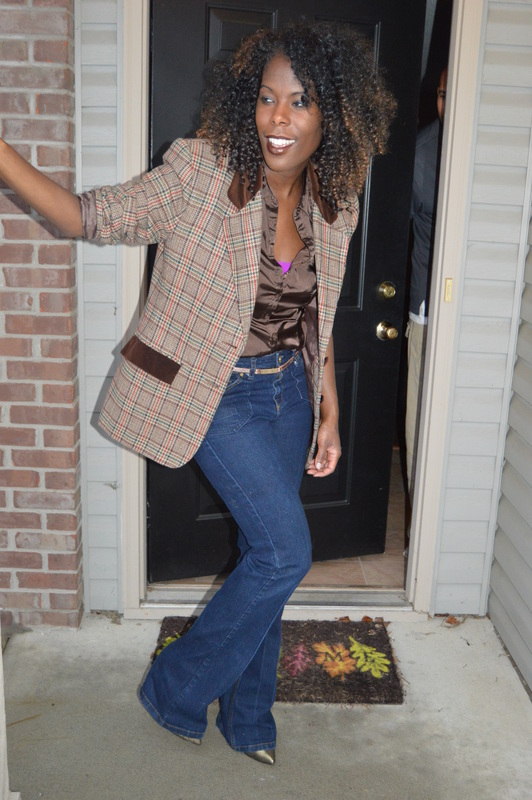 It was a vintage snapshot of Farrah Fawcett; however, as you can see I was “photobombed” by my boyfriend who is majorly peeking out the front door. After all the laughter and fun and games, my oldest and I were able to snap a few more shots.